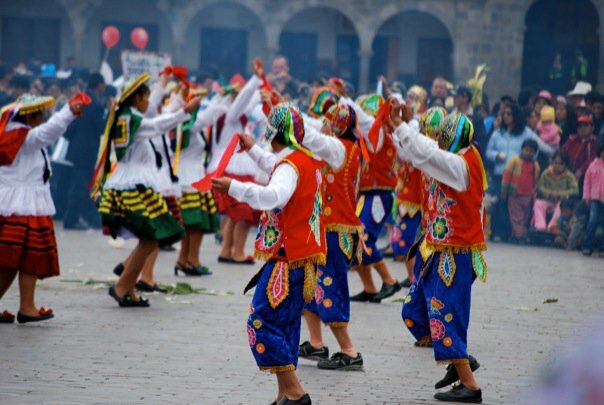 Cuzco will fill with parades of dance troupes, brightly costumed, whirling and combatting, this week and in the buildup to Inti Raymi. They walk and then reach a place considered a stage where they perform, before walking to another one. The main stage is in front of the reviewing stand where the troupe performs in front of judges who will decide the best group of the event. June is a month of celebrations in which these dances claim focus. 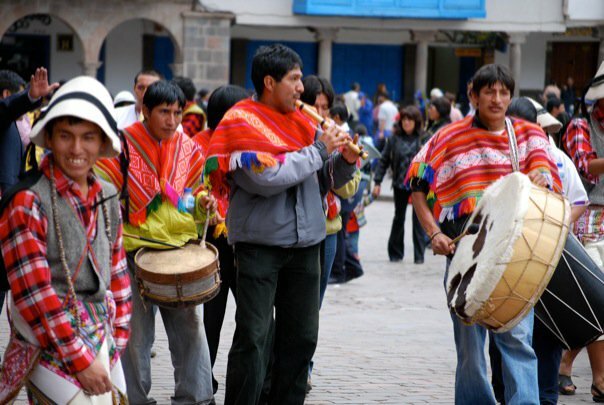 They signal Cuzco’s commitment to its traditional culture, gathered from its different province and communities, named, codified, storified, and re-developed to fit in a brief space and a performance. As a manifestation of culture, custom, and tradition, these dances stand at the pinnacle of a pyramid of performances that goes down into the universities and schools. Students learn these dances and their meaning from when they are in kindergarten. They dance through their school years in school events and parades around the plaza, what are called pasacalles. Once school is over the institutions in which they work–businesses, commercial centers, and government bodies–also organize dance troupes, often obligatory ones, that parade and dance around the plaza. People have a lifetime punctuated by dancing and parading. Everyone does it, although not everyone participates with the same intensity and frequency. A few mostly abstain but the dancing, costumes, staging, and stories provide a reference point, a frame for identity and being in Cuzco that is key, if you wish to understand this place and its people. Another part of this, though, is to understand that this “culture” besides being delimited and performed in specific times and places, connects with a municipal government agency and the discussions, debates, and planning of elites. It is a specific, planned project. The agency is EMUFEC, the Municipal Enterprise of Feasts in Cuzco. This organization was founded in 1987 at an important time. At that moment, emigration from Cuzco was on the rise and the historical culture and society of the City and its region was probably starting into a deep crisis of reproduction. Its social roots were shaking with the movement of people, both those coming into the city from elsewhere and, as a result, not part of the historic set of confraternities, organizations and devotions, not to mention language, ideas, and customs, while those who did share these things were leaving in suddenly high rates. New comers had been pouring in, from rural communities and from other parts of Peru. They did not share the established sets of ideas and customs, nor the organization that once had made the Once Inca capital work as a city. 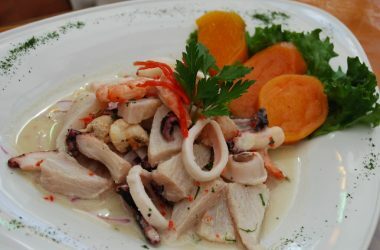 This was a time when Peru was also suffering from a cruel civil war although Cuzco was mostly at peace. In that war the entire country was undergoing a massive crisis of identity and organization as its traditional structure was literally exploding through governmental and guerrilla violence. 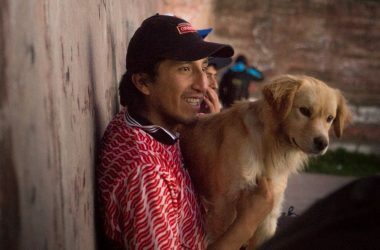 Daniel Estrada Perez became the mayor of Cuzco in 1983, after a career as a law professor and a defender locally, nationally, and internationally of indigenous people and their rights. His ascension to power marked a moment in which the elite Incaism of older elites was refocussed. Not only was this a time of demographic change, it was also a time of sometime violent debate between developmentalist models and revolutionary ones of liberation. At this time, the name of the city was set not as the traditional Cuzco with a “z” found in historical documents and still set in international aviation codings and more. Instead, it became Cusco and a justification criticizing Hispanizing elites was formed. 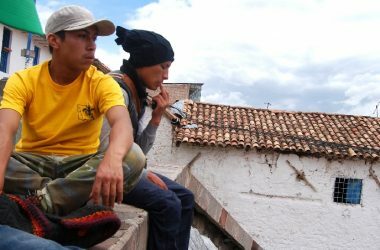 In addition the Quechua-ish word Qosqo became officially used to name the city, at a time when people were increasingly abandoning this language that used to typify the population of Cuzco. 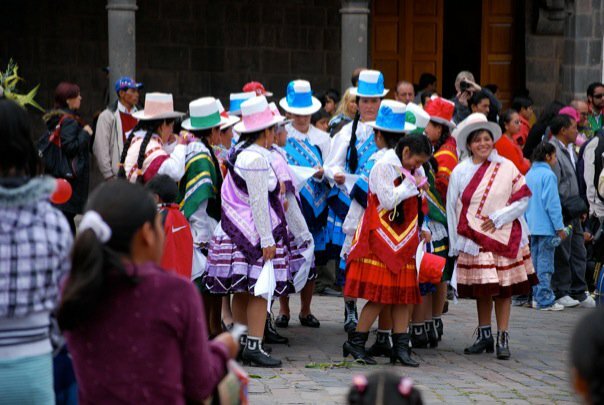 Dance was codified as folklore, something that could be seen as an essence of this new yet arguably ancient Cusco, and it was formulated as the soul of a culture unifying the city with its emigrants and immigrants. At the same time an older culture of dance was severely weakened and replaced. It too depended on a kind of social organization that seems not as strong as it once was within the city. 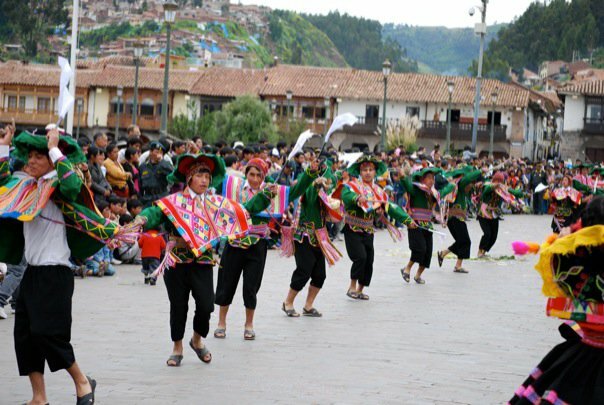 In this older culture, Cuzco’s neighborhoods and the communities and towns nearby would organize dance troupes they would send to the capital to dance as a means of being present and mobilizing the universe of the city in favor of them. There they would join troupes from the various confraternities in dancing a long route of procession. The dance was continual over hours and indeed days. It was not a stage show, but a stream of movement and meaning. The urban culture of this continues in Paucartambo with the troupes mobilized and organized within the city of Cuzco but, within the city, it has either died or is in decline. Like the dances of Paucartambo, these dances were tied to the saint’s calendar of significant days and, thereby, to the national calendar of anniversaries and feasts. I remember seeing one of these some fifteen years ago. It began in the morning, maybe at 9 or ten am when the first troupe pulsed up the Sun Avenue and around the Plaza before continuing on. I did not think to track the route but stayed around the Plaza to watch. By late night groups kept thundering into the plaza with shimmering movement and sound. I was told the event lasted until four am with more groups coming in. That culture of continual dance over time and moving through space has changed to one of stages with a dramatical and folkloric organization. Things change, and this is one change I have seen in Cuzco during the years I have been coming to this amazing place.